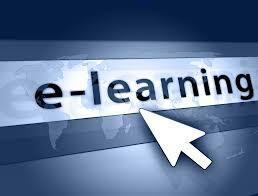 Our E-Learning provides an enjoyable and successful multimedia experience to suit your life. Easy-to-use Learning Management System offers a personalised learning experience. Stay on track with self-assessments and feedback. High pass rates with exam preparation and revision resources. Expert tutor email / phone support and discussion forums. Convenient online learning on tablet, smartphone, PC. Time-saving reports for managers on staff progress. Developed by our experts for up-to-date developments. If you are looking to achieve this industry recognised qualification and you are unable to attend a classroom course, or prefer to study at your convenience, our interactive E-Learning course is a perfect solution. Trials are also available. Interactive multimedia activities including video, audio, animations, case studies and work-place scenarios. An easy to navigate and award winning ‘Learning Management System’ which provides personalised learning. Self-assessments and instant feedback provide progress checks to help stay on track to achieving your goals. High pass rates achieved by exam preparation, mock exams with feedback, and revision resources. Expert tutor email and phone support. Discussion forums with other professionals and tutors. Convenient online learning on any devide: PC, Tablet and Smartphone. An easy to navigate Digital learning resources library for additional support, with materials kept current with all regulatory, legislative and syllabus updates. The NEBOSH National General Certificate E-Learning course from Tillycroy Support Services enables you to learn and prepare for the exams at your own pace. The widely recognised and sought after NEBOSH Diploma qualification is a fully supported interactive, online learning solution. The NEBOSH Diploma Distance Learning Course is ideal for those motivated to study in their own time and on a budget. 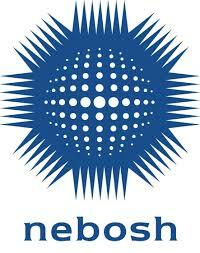 The NEBOSH Certificate in Oil and Gas Safety is a recognised qualification for this sector. Choose how you learn: E-Learning or Distance Learning.